November 27, 2018 - Carol D.
Introduction to English Paper Piecing. 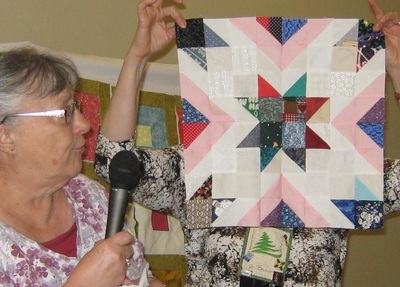 Carol demonstrated how to use English paper piecing using the hexagon templates to make a Christmas ornament. 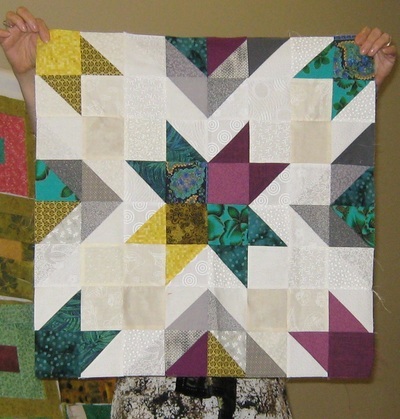 There was great interest in this workshop with wonderful results! October 30, 2018 - Cindy A.
Cindy showed us how to make this adorable Snowman Quilt. She generously cut pieces on her cutter and supplied many of the embellishments. Thank you, Cindy! Bobbles: Marilyn led the group on how to make "bobbles" which are very versatile in how they can be used, such as a pin cushion, broach, adornment on whatever you like. They are stuffed and beaded. Sept 25, 2018 - Carol D.
Our September study group will be an introduction to Japanese Boro stitching. We will put together a small composition using a number of new and old fabrics, and then try using a variety of threads and stitches to embellish the piece. The final use might be a pocket, sewing kit, or one side of a bag. 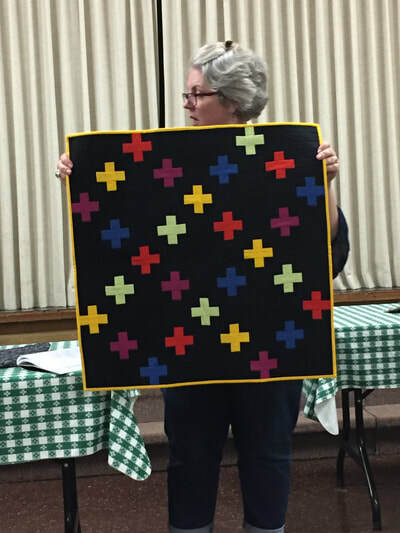 Tonya led a workshop for our group in the making of a table topper and/or runner. It is her own pattern called Double Crossed. Fun was had by all! 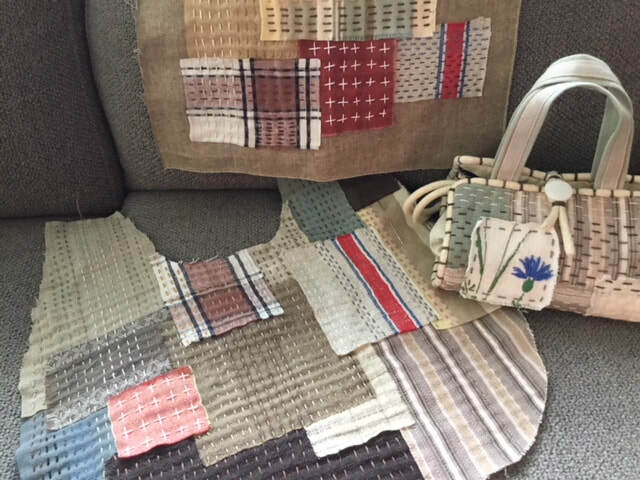 March 27, 2018: The Betsy Bag - Virginia K.
Virginia led us in making the 3 in 1 Betsy Bag. It is a large bag when opened completely, but can be folded down to a small bag if desired. So much fun in doing this, the webmaster forgot to take pictures! Will have to wait for Show and Share in April. 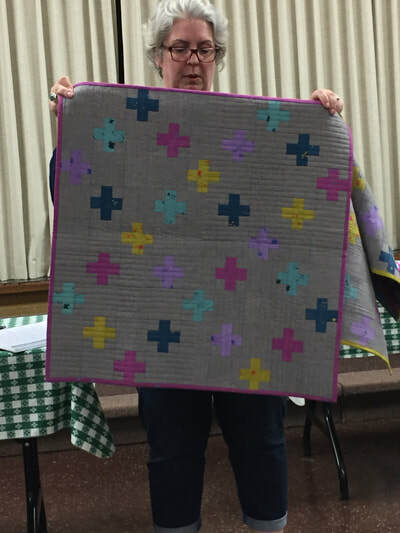 February 27, 2018- Sue P.
Sue led the group in making these mystery quilts from the instructions printed on the back of our annual calendar handed out at the Christmas Party. Really cute!! 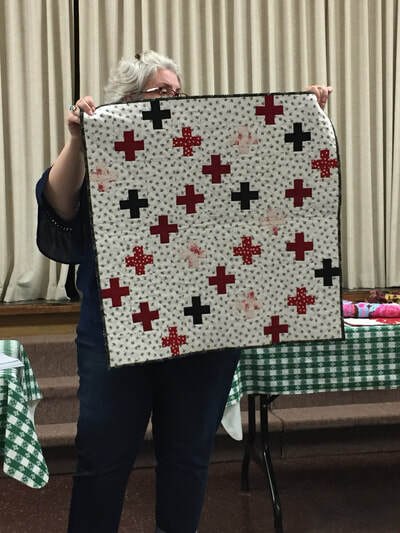 Jan 30, 2018: project bags - Sue P.
We had a great turn out to make project bags for the Canadian luncheon in April. 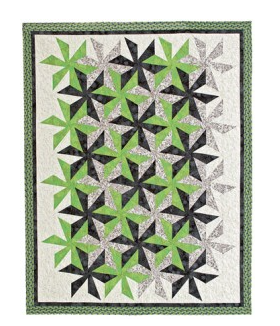 Can't wait to see the variety of fabrics and colors used! 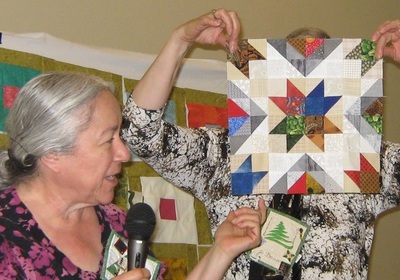 October 24, 2017 - Happy Hour Quilt- Sue P.
Sue lead a workshop in putting together the Happy Hour Quilt. 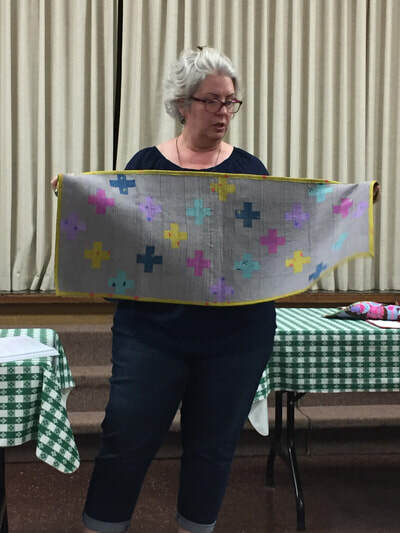 Sept 26, 2017 - Project bag - Diane B.
Diane lead a workshop on making a project bag. Fun was had by all and they took home really handy bags to keep all your projects in. August 29, 2017 - Silk scarf painting - Jo B.
Jo B. led a workshop on painting silk scarves. It was fun and easy to do. What creative and artistic members we have! 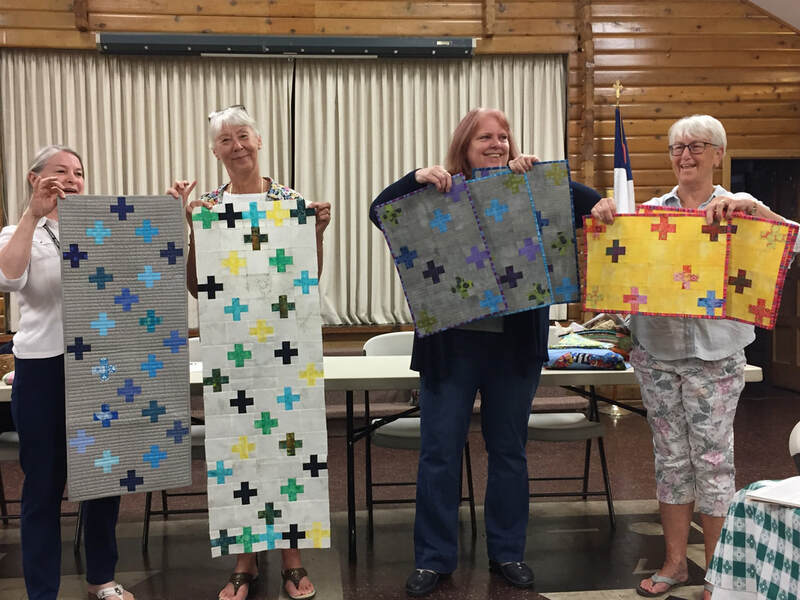 August 22, 2017 -Twisty Thread Catchers - Carol D.
AND Beaded Necklaces - Doreen M.
Due to the July workshop being cancelled, we had two items to make for the quilt show boutique. 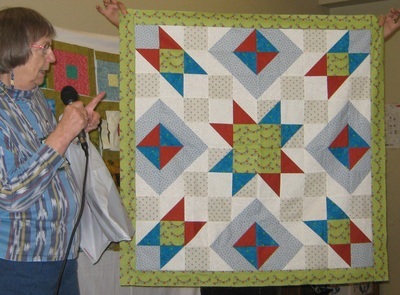 First was a portable, collapsible thread catcher that Carol D. showed us how to make. Many were made, but sorry no pictures, yet. Doreen showed how to make fabric beads and how to put together for a chunky necklace. 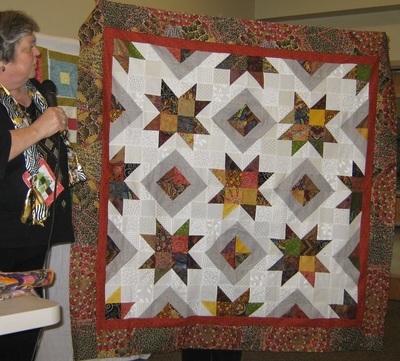 Marilyn lead a workshop on how to make bags to sell at our boutique at the quilt show. Lots of cute bags made! April 25, 2017 -Sweatshirt Jacket - taught by Sue P.
Sue led a great workshop in how to make a jacket from a standard sweatshirt. It was easy and fun!